Nothing makes a balanced breakfast like a balanced egg carton. Ever pick up an egg carton to then be surprised by the weight distribution, causing you to nearly drop the entire thing? I certainly know I have. But not any longer! Over the past couple years I have developed patterns to reduce the unpredictability of egg cartons. Let me show you how. With a full dozen, we start with a perfectly balanced carton. Heavy. Solid. Predictable. Unfortunately, a lot of people get into the habit of taking eggs from the left side of the carton, much like how they read a book. It acts as a visual guide in the progression of the egg consumption. We're here to change that. 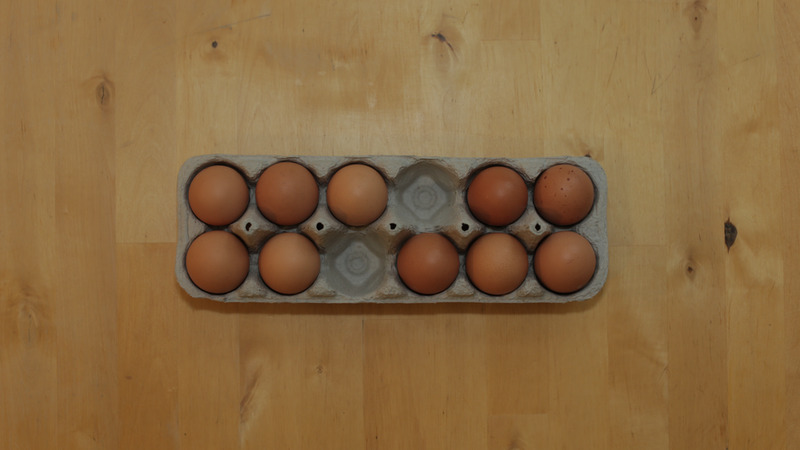 As you can see below, we want to remove eggs so the remaining eggs are evenly distributed. 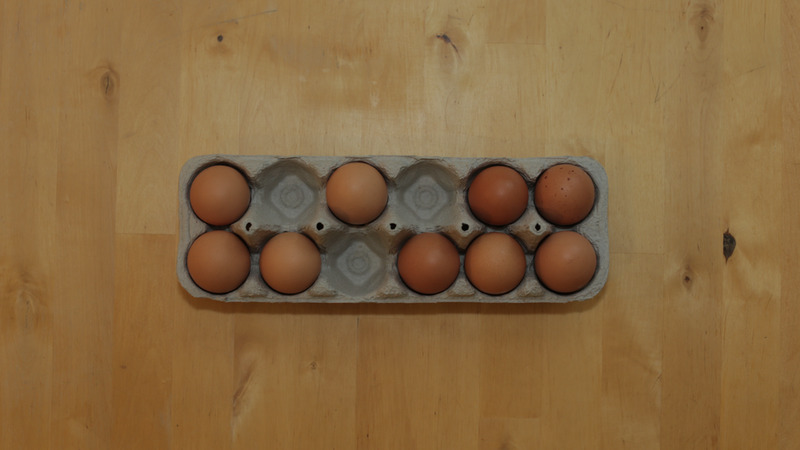 To start, take out eggs near the center. Because of the nature of the two by six design, there will often be a slightly unbalanced carton. If you use two or four eggs per serving, however, you can maintain a perfect distribution throughout. Let's dive in! As with most images on this website, hover your mouse over the image to see the caption. With one egg out, we have no choice but to have some asymmetry. The first pair leaves us with a nice solid foundation. As you'll notice, every odd number taken leaves a not-so-great result. With four taken, we can make a perfect arrangement like so. Beautiful. Yikes. Not the prettiest, but we're still fairly balanced. Half way there. This one's a personal favorite. Like footsteps in a snowflurry. We're getting sparse, but your roommate will still not be surprised when he picks it up. With this config, you could also shift each pair away from the center to give the ends more weight. Or make each pair parallel. This is where you can have some fun with it. Be creative! Getting down to the home stretch! Still nice and balanced. Not much we can do here. Just keep it near the center. Congratulations! You've navigated the chaotic world of egg cartons with ease. Now go get scrambling! As you can see, there are some liberties you're allowed to take through the whole process. There is no right or wrong way, so long as the eggs have some level of even spacing.